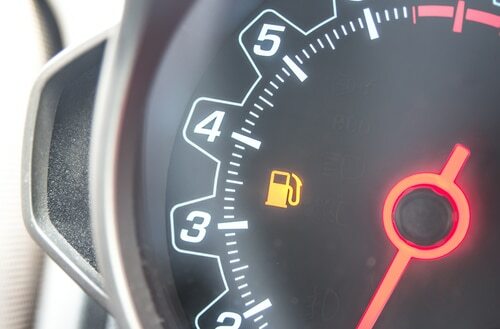 There are a lot of tips out there that claim to cut fuel usage, but what actually works? Here are the top tested methods for increasing fuel efficiency according to the US Department of Energy. Put road rage in the back seat: Aggressive driving can hurt fuel economy by 5% around town, and up to 33% on the highway. This means by driving more calmly, you not only make the road a safer place; you also save on fuel. Don’t speed: Gas mileage usually takes a sharp drop once you start traveling faster than 50 miles per hour. As with avoiding aggressive driving tendencies, obeying the speed limit is both safer and more fuel efficient. Lighten your load: Excess weight in the trunk makes the engine work harder. Increase your mpg by 1% for every 100 pounds you remove. A roof-top cargo box is even worse because it increases wind resistance, reducing fuel economy by up to 25 percent at highway speeds. If you need an external cargo container, look for a rear-mounting one. Remove external containers when not in use to save fuel. Stop idling: Depending on engine size and air conditioner use, idling can consume one-quarter to one-half gallon of gas per hour. Turn off your engine if you anticipate needing to wait more than one minute. Restarting your car only consumes about 10 seconds worth of fuel. Cruise along: Maintaining a constant speed is more efficient than lifting your foot on and off the gas. Use the cruise control on the highway to steady your speed, not to mention give your foot a break. Tune it up: Even if nothing seems to be wrong with your car, it’s wise to schedule a tune-up for your older car every 10,000 to 12,000 miles or once a year, whichever comes first. Newer cars featuring electronic fuel injection and ignition systems may only need a major tune-up every 25,000 to 100,000 miles. Scott’s Fort Collins Auto accepts drop-ins Monday through Friday 8am to 5pm and Saturdays 8am to 1pm. Tune-ups improve gas mileage by an average of 4%. Keep tires inflated: Under-deflated tires can lower gas mileage by 0.3% per psi drop in pressure. Find the proper tire pressure for your vehicle by checking the sticker in the driver’s side door jamb or the owner’s manual. Don’t use the maximum pressure listed on the tire’s sidewall. Use the right oil: Find out what type of oil your car runs best on and pick that type to increase your gas mileage by 1% to 2%. When it’s time for an oil change, Scott’s is here to make the process as painless as possible. According to CalRecycle, the old standard of changing your oil every three months or 3,000 miles is outdated. Engine and oil improvements mean you can now wait 5,000, 10,000 or even 15,000 miles between oil changes. Check your owner’s manual to be sure. If you have errands to run, combine them and plan your route effectively to drive the shortest distance possible. When traveling between stores, your engine is already warm when you restart it, making it more efficient than a cold engine. This means a longer, multipurpose outing saves fuel compared to running one errand at a time. Look into working unconventional hours so you can beat the morning and evening rush. Find out if telecommuting, or working from home, is acceptable to your employer. Carpool with coworkers or join a ride-share program to cut your weekly fuel costs considerably and reduce wear and tear on your vehicle. Use public transit. The new MAX Bus Rapid Transit Service is great for Fort Collins residents who work in Old Town. Looking for automotive services to help increase fuel efficiency? Contact Scott’s Fort Collins Auto & Repair or call us at (970) 682-4202 to set up an appointment.